In chapter three we learned that Peter and John, on their way to pray at the temple, encountered a lame man and by the power of the Holy Spirit, in Jesus name, this man was healed after Peter reached out for his hand and lifted him up. This was followed by a fiery sermon Peter gave to the men and women who surrounded them, looking upon them astounded and amazed, inside the temple. 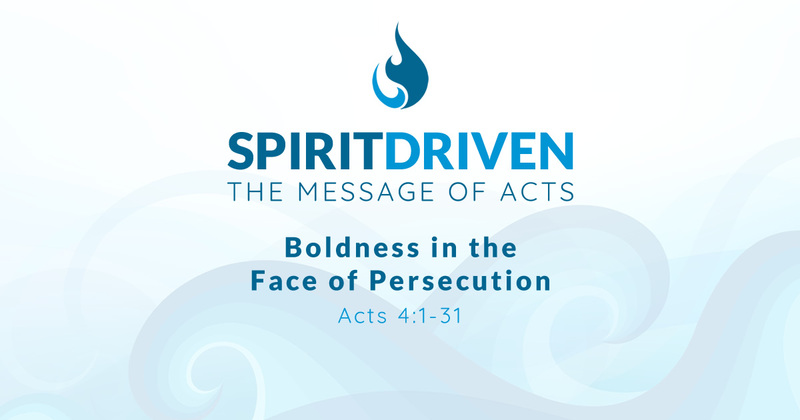 In chapter four we will see how Peter and John faced persecution, spoke the word of God with boldness, and with the rest of the church, was filled once again with the power of the Holy Spirit to further preach the Word with boldness in the face of persecution. We pick up where we left off with Peter preaching the Gospel, and most importantly, the resurrection of Jesus Christ.